Free money! Take your pick—$300 or $500. April 1 (no fooling) marks the start of the annual grant application cycle for the ACS ChemClub Community Activities Grants. It’s a great way for Clubs to fund activities that share chemistry in some way with those around them. Clubs have done things like perform a demo extravaganza, do hands-on activities at a local library, start a recycling program at their school, and tons more. Clubs have until June 1 to submit applications. 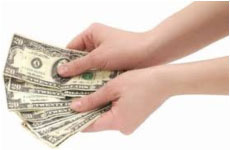 Clubs that are awarded grants will receive the money to use during the 2014–2015 school year. Chartered ChemClubs can receive up to $300 for activities done by their own Club, or up to $500 for activities together with an ACS college-level chapter or an ACS Local Section. 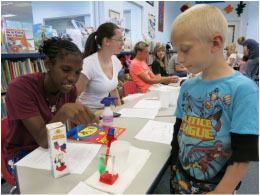 Everything you need to know to get started is at the ChemClub Community Activities Grants page. There’s even a grant writing worksheet and grant checklist to use for your planning, with questions you’ll need to answer on the application. Applications can be written by Club advisors or Club members (in consultation with the advisor). For even more help, ACS staff recently offered the webinar “Write Your Way to Success: Grant Writing Strategies for You and Your Chemistry Students.” Watch for the webinar (coming soon!) on the ChemClub page—it has tips that will take you from coming up with a great idea, to telling your story about it in the proposal, to applying, then hopefully celebrating your successful application and carrying out your plan. What are ways that you’d like to share chemistry with your community? The money to do it can be there for your Club. No joke!